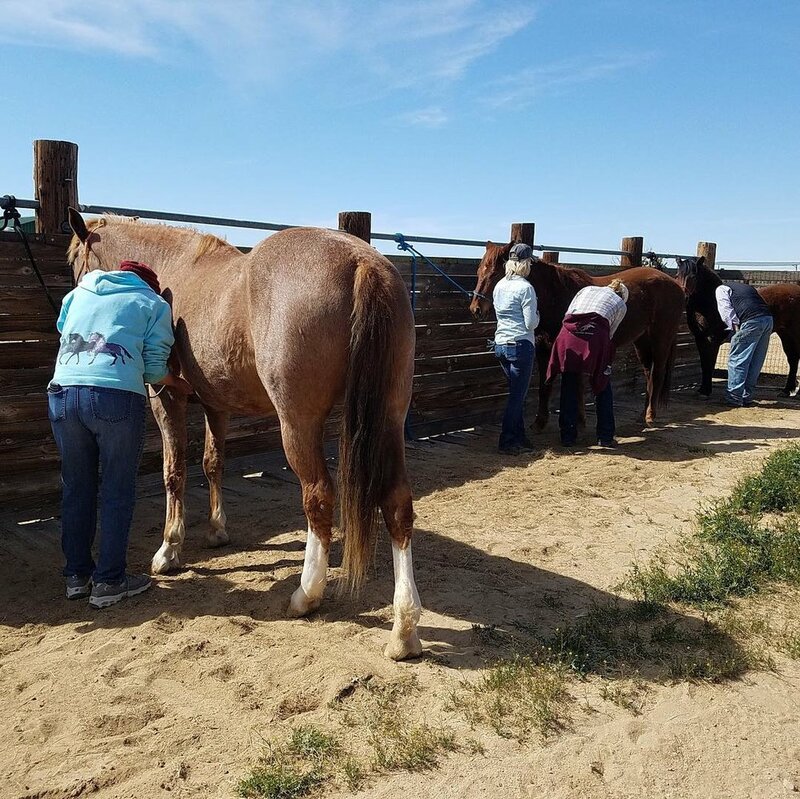 First Equine Bodywork, First Aid & Horsemanship Clinic success! 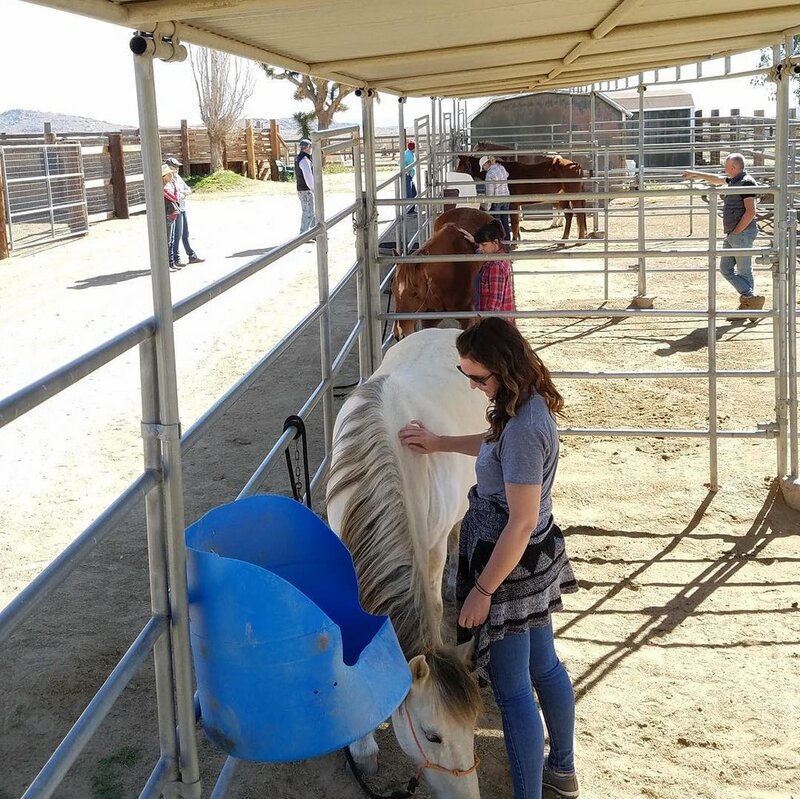 On Saturday (March 30th) Will Friday, EET’s Program Manager and owner of Performance Equine Bodywork, and Cheyenne, of The SPARTA Project, put on their first “Equine Bodywork, First Aid & Horsemanship Clinic” at Lifesavers Training and Adoption facility in Lancaster. It was a massive success, and there will be MANY more to come. 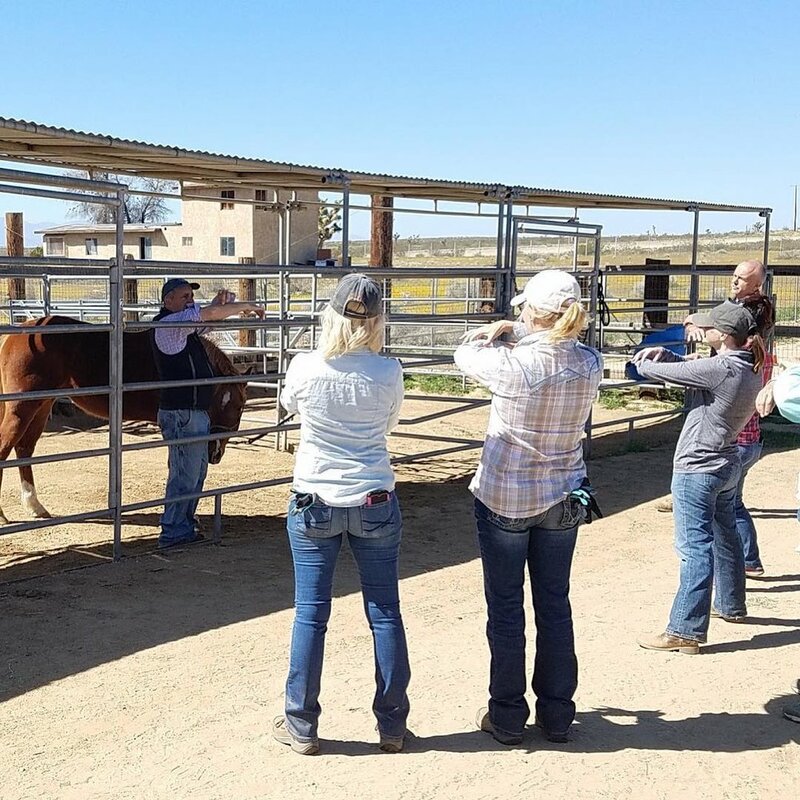 This all day workshop featured demonstrations and discussions of Masterson Method bodywork, equine first aid, wild horse rescue and groundwork, and equine nutrition. 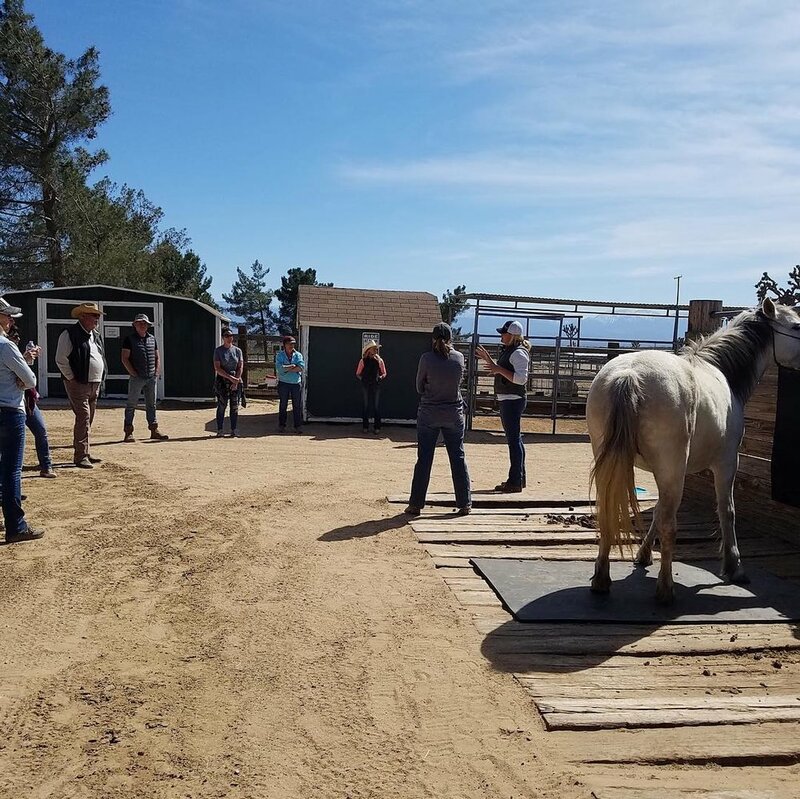 The people who attended the clinic were fantastic, and Will & Cheyenne combined wealth of equine knowledge was a powerful force, and this was just the first of many of these vital clinics. 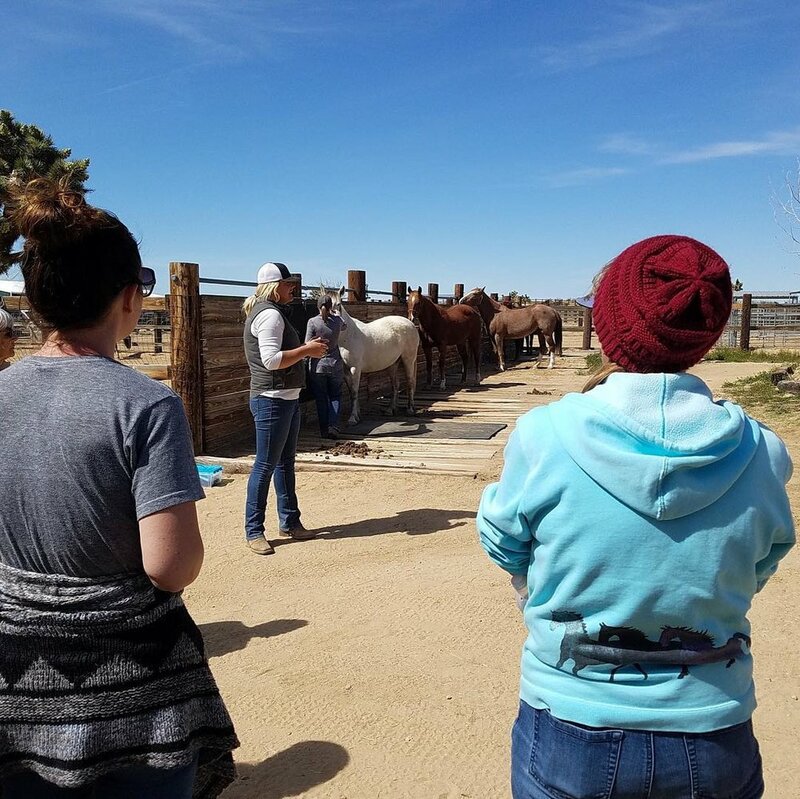 Please check out the links in this post to see what else Will & Cheyenne do and follow them (and us) on Facebook or Instagram for updates for more clinics near you. Will Friday showing some Masterson Method techinques. Will Friday explaining to the participants some of the important techniques of equine pressure. One of the clinic participants trying out Masterson Method techniques on one of the rescued horses at Lifesavers. 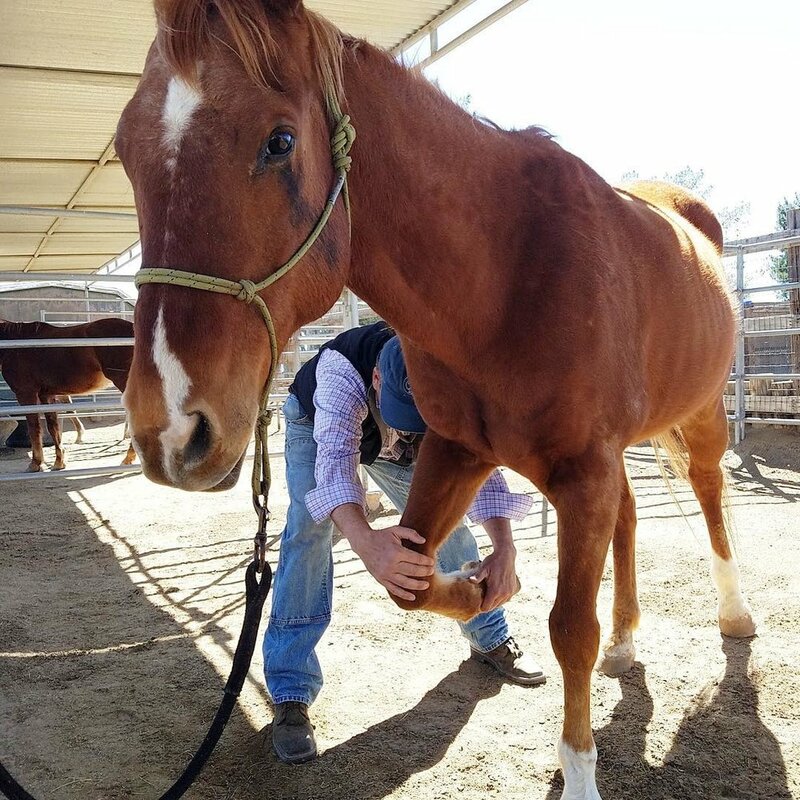 Will Friday showing more Masterson Method techniques to alleviate a horse’s pain on a rescued horse at Lifesavers. Cheyenne giving equine first aid instructions to the group. The clinic participants getting to try these first aid techniques on the rescued horses at Lifesavers.